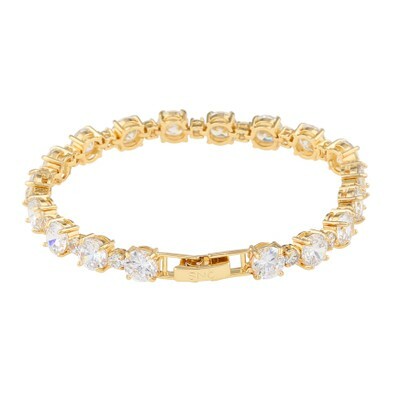 Duo Bracelet in gold/clear. 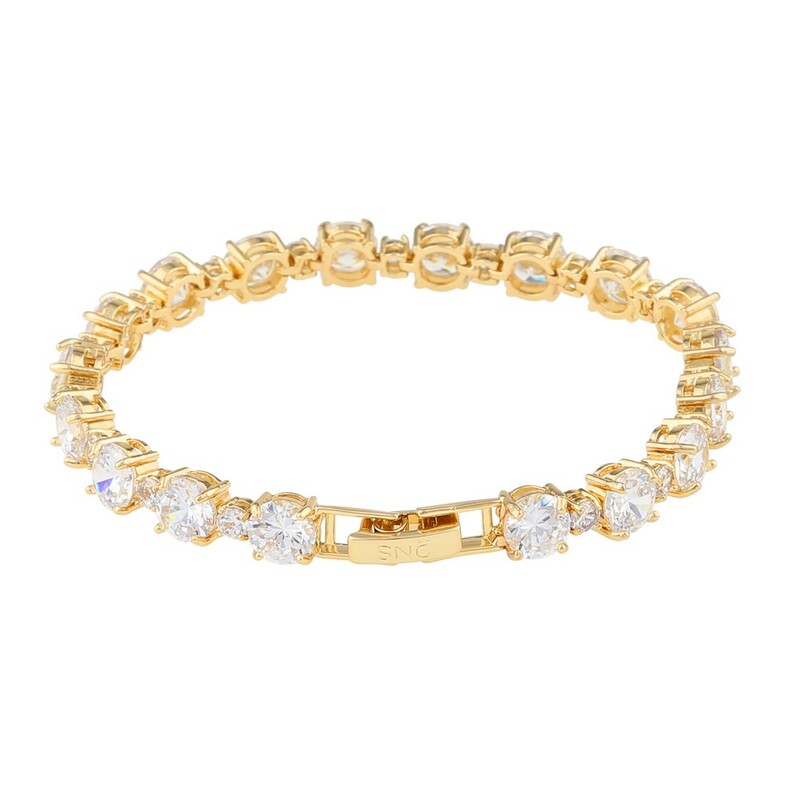 An elegant strass bracelet with clear rhinestones against a gold chain. Match it with other jewellery from the series to enhance the effect or use it by itself.